How Dior dazzled Dubai with its first show in the region? Dior, French fashion house, held its first ever couture show in the Middle East region in Dubai on the evening of March 18. The show led by Dior’s creative director Maria Grazia Chiuri was held under a large circus-style tent. Chiuri described the circus set, with the backdrop of Dubai’s glimmering skyline as a ‘magical place’. The circus set up was chosen to pay homage to Christian Dior, who was known for his love for the Cirque d’Hiver. 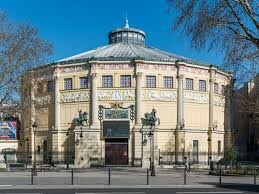 Cirque d’Hiver, which literally means winter circus, is a famous venue in Paris known for holding circuses, fashion shows, musical concerts, and other such vibrant events. Chuiri, who is the first woman to ever head the French label, recreated Dior’s vintage collection through a feminist lens and redefined them to add to the glory of contemporary women. The theatrical ambience of the show matched the luxurious vibe and stylish lifestyle of Dubai. The inspiration behind the show and the collection was said to be the excitement that springs up in a child when going to the circus. The collection included shimmering swim caps, gowns, which has images of Victorian-era circus performers and tulle jumpsuit and rompers of multi-coloured streaks in satin bands and dramatically square shoulders, ringmaster blazers, sheer shirting, and glittering tights. Chuiri also presented an exclusive collection of 15 entirely new pieces designed for specifically for the Dubai show to appeal to the Arab Gulf-based audience. The show was attended by the region’s fashionistas, editors of the leading fashion magazines, social media figures, celebrities, buyers, designers and international guests and friends of the brand.